Russian officer Vladimir Arsenyev traded high society in St. Petersburg for the rough and tumble life on the Pacific Coast among indigenous peoples. Vladimir Arsenyev dedicated 30 years of his life to researching the Russian Far East and its inhabitants. He is best known internationally for the Dersu Uzala trilogy of books (1923), which were adapted into an Oscar-winning film by Japanese director Akira Kurosawa. The film Dersu Uzala (1975) tells the story of Arsenyev and “a forest man,” his ethnic Nanai guide after whom the film is named. The movie showcases the wild forests and harsh winters of the Russian Far East to the world and also brought the path-breaking travel of Arsenyev to global attention. In 1900 Arsenyev made a special request to the Russian military to send him to the fortress regiment at Vladivostok. He traveled there by train that very year. In 1902, he met the Nanai hunter Uzala. The two men would go on to forge a lifelong friendship. Today, several places associated with Arsenyev are easily accessible for visitors to the Russian Far East. The first stop on the Arsenyev trail is the city of Blagoveshchensk (4,900 miles from Moscow), which shares a river border with the Chinese city of Heihe. Then a young army officer on his way to Vladivostok, Arsenyev reached Blagoveshchensk in July 1900 at the peak of the Boxer Rebellion that sought to expel foreigners from China. He was present when the Russian city was attacked by the Chinese. He stayed on in the city for almost three weeks and was part of the victorious effort against the Qing Imperial Army. A few buildings from the early 1900s survive in the city and the local museum has a few images of a young Arsenyev when he resided in Blagoveshchensk. International travelers usually cross the Amur River for the day to explore one of the cities and compare the contrast between the older architecture of the Russian city and the modern Chinese skyscrapers. Note that there are no visa exemptions available, so an international visitor would need multiple-entry Russian and Chinese visas to go back and forth. 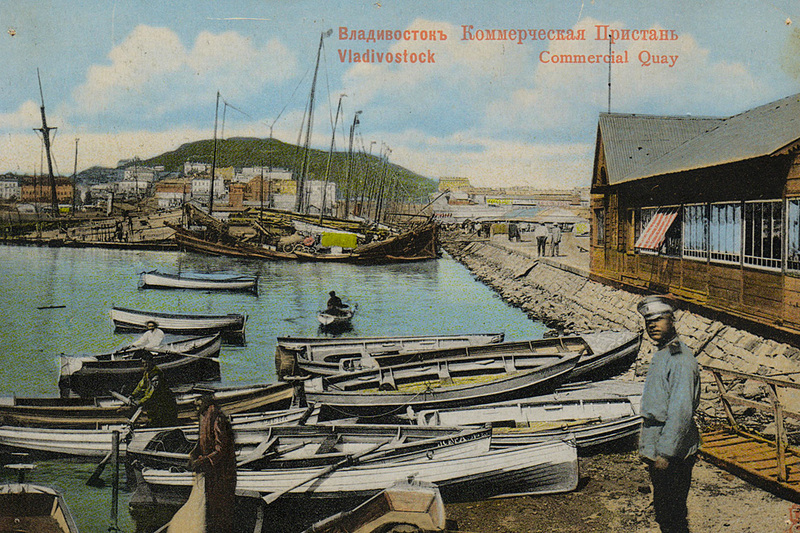 The next stop is the city of Vladivostok, which has undergone tremendous changes since Arsenyev first moved there in 1900. There are many relics from his time in Vladivostok, including tastefully restored pre-Civil War architecture. The house where Arsenyev lived until his death in 1930 still stands. Lovingly preserved and converted into a museum, the house is close to the Vladivostok railway station. From Vladivostok, Arsenyev led several expeditions to the wild forests by the Ussuri and Amur rivers. His exploits included hunting for boars and other wildlife and travel through wild forests in every season. Kurosawa’s film dramatizes an incident in which Arsenyev ignores warnings from Uzala about a blizzard. They get trapped and Uzala builds a shelter from a strand of reeds that saves their lives. Take an overnight train from Vladivostok to Khabarovsk to continue in Arsenyev’s footsteps. One of the highlights here is the Khabarovsk Regional Lore Museum, which has a special section dedicated to the flora and fauna of the region. Arsenyev was the director of the museum during the Russian Civil War from 1918-1920. The museum has rare photos of the indigenous tribes of the Amur Region taken by Arsenyev during his expeditions, along with jewelry, clothing made from animal skins and hunting equipment. Home of the Amur tiger, the Himalayan black bear and Amur leopards, the Big Khekhtsir reserve is only a 30-minute drive away from Khabarovsk on the border with China. Those that want to climb Mt. Khekhtsir need special permission from the forest service, as it’s a border region. In these forests, Arsenyev and Uzala traveled by horse and foot. In keeping with his Nanai beliefs, Uzala, who was nearly mauled to death by a tiger, still revered the animal as the spirit of the wild forests. Called “Amba” by the Nanai, Amur tigers are the only species of tigers that live in sub-zero temperatures. “Oh no! Bad see him! Men [who] never see Amba ... happy, lucky men,” Uzala was quoted as saying in Arsenyev’s diaries. The final stop on the Arsenyev trail is Sikhachi-Alyan, a village about 50 miles north of Khabarovsk on the banks of the Amur River. This small village inhabited by the hospitable Nanai people gives travelers a glimpse of the customs, culture and traditions of the one of the original peoples of the Russian Far East. Many of the villagers dress in traditional clothes and the indigenous language is kept alive by the community despite the settlement’s dwindling numbers. Tourism has helped keep the Nanai craft culture vibrant. Despite the modernization of the Russian Far East, which began over a century ago, the region still hosts some of the largest virgin forests in the planet.